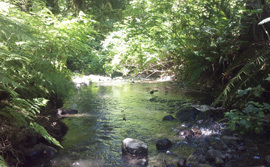 If you own or manage a farm or nursery, have livestock or horses, live near a stream, have trouble with weeds, manage forested land, or all of the above, this section is for you. Our goal is to provide information you can use to manage your land in a way that also conserves natural resources. 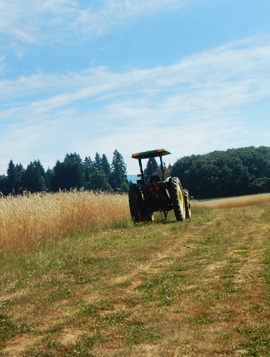 Do you live in the rural area of east Multnomah County? If you do we can offer site-specific technical assistance with the topics in this section and more. Many conservation practices are simple and inexpensive, but the devil is in the details. Our expert staff offers practical solutions for real world problems. We will make suggestions but we won’t tell you what you have to do. We don’t enforce any regulations and all of our work with you is voluntary. All of our services are provided free of charge and with our help you can get it right the first time, saving you time and money. We'll help you manage your stream for five years!